 Log In needed $20 · Lupins, look, lovely LUPINS! 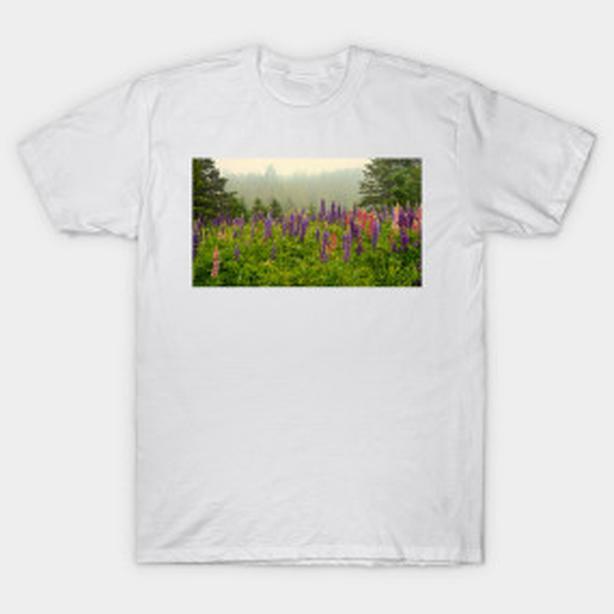 Tshirt with Lupins, NEW, great price! LOOK, LUPINS! Wildflowers blooming in northern Ontario, Canada. These Lupins make a colorful display in late spring, along the roadway near St Joseph Island. Photo by noted photographer and artist, Bryan Smith. His unique work has a special quality, that makes it popular among many. More of his fine work is featured in our store, available for your enjoyment on a wide variety of gift items.